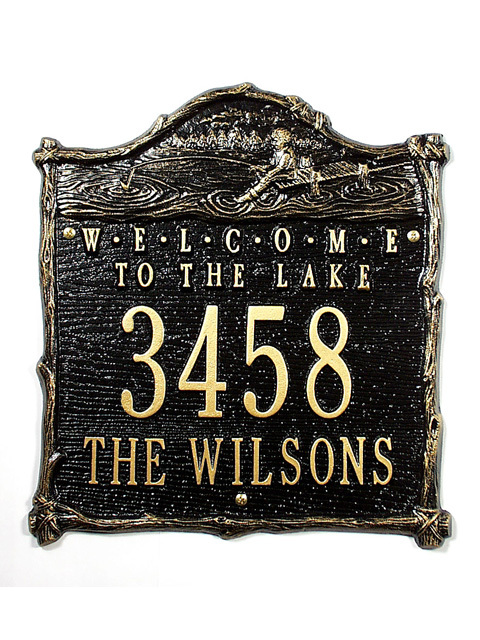 This beautiful decorative address plaque was made specially for our Cabin / Lodge Collection. 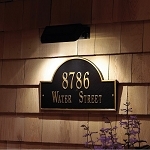 The detailing on the shows the superior quality of the plaque's design. It is hand crafted of rust-free recycled aluminum. The finish has been specially formulated to withstand temperature extremes. Made in USA. 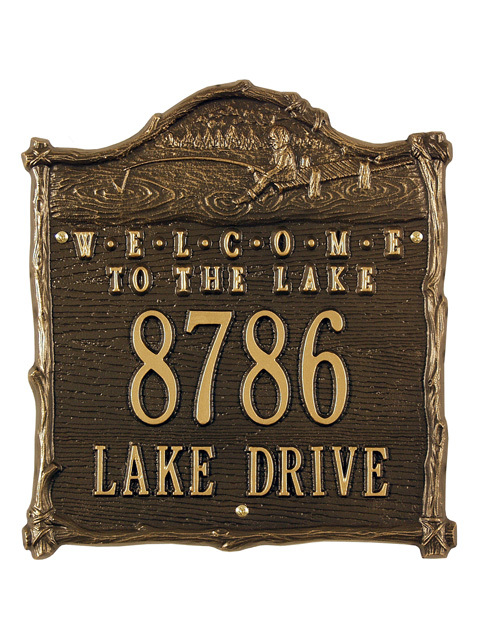 WELCOME TO THE LAKE is pre-printed on the plaque and cannot be removed. We love it! Wish it was available as a lawn plaque. A: The holes are at the center top and bottom. The post should be large enough to hold the plaque securely so that the wind cannot damage it because it will not have a sold background.